Gonzalo Higuain, Alvaro Morata & Krzysztof Piatek: Which Club Is Getting the Best Deal? As time begins to run out for clubs to conduct business in the January transfer window ahead of the looming deadline, three of Europe's most established clubs have opted to for a major overhaul to their forward line for what remains of the 2018/19 campaign. Chelsea finally signed Gonzalo Higuain on loan from Juventus, cutting short his initial loan at Milan, who have replaced the Argentine with Krzysztof Piatek from Genoa for an estimated €35m. The arrival of the Argentine at Stamford Bridge has pushed Alvaro Morata nearer to the exit door, with the Spaniard close to agreeing a loan switch to his first club, Atletico Madrid. With the trio of strikers hoping to rectify apparent issues uncovered by all three clubs, we ask - Who got the best deal between Chelsea, Atletico Madrid and AC Milan? "When the opportunity to join Chelsea presented itself I had to take it"
Looking at the form of the three strikers in regards to this season, Piatek is currently head and shoulders above ​Morata and ​Higuain. The 23-year-old netted 19 goals in 21 games during his brief stay at Genoa, 13 of which have come in Serie A, including nine in his first eight games following his summer move from Cracovia Krakow for just €4m. A slight concern regarding the Pole currently is his goal return since his breathtaking start to life in Italy, with four goals in the 12 league games that followed hardly a record that catches the eye. However, he is impressively still only one behind Cristiano Ronaldo in the Serie A goalscoring charts despite then playing for a side only three points above the relegation. 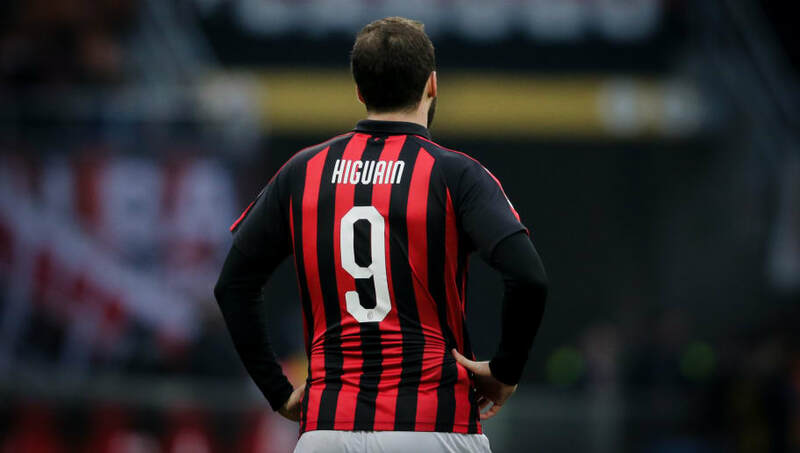 While Piatek's 2018/19 has been impressive, Higuain failed to get going during the six months he spent on loan at ​Milan from Juventus. Six goals in 15 Serie A games for the 31-year-old was well below what's expected of a striker who had 111 goals in 177 games in Italy's top tier prior to his move in the summer. Alvaro Morata has also disappointed in front of goal recently. Recording 15 goals across all competitions in his first season at ​Chelsea following his £58m move in 2017, it was a campaign that saw Morata rapidly lose form and confidence, while things failed improved for him following the arrival of Maurizio Sarri, who has since preferred using Eden Hazard as a 'false nine'. While current form plays a significant factor in deciding who got the best deal, another consideration should be what situation each striker is moving into. Higuain's move sees the Argentine reunited with the manager that oversaw his best goalscoring season in Maurizio Sarri, after the Argentine netted an astounding 36 goals in 35 Serie A games during their only previous season together at Napoli during 2015/16 season. With Higuain arriving at Chelsea, ​the path for ​Morata to join Atletico Madrid appears to be clear, as the Spaniard gets yet another chance to prove his enormous potential can be fulfilled at a top European side. La Liga does in fact represent the Spaniard's best league in terms of his goals-to-game ratio, with his 25 goals in 63 games equating to a goal every 2.5 games, compared to one in every 4.2 games in Serie A and one in every 2.9 games in the Premier League. Also, Morata, who could be replacing for Diego Costa for a second time after reports linked him with a move to China, may have finally landed at his ideal club. For Piatek meanwhile, expectations from the Rossonari faithful will be hoping for the Pole to start his career at the San Siro in a similar fashion to his time at Genoa, but that's easier said than done. Gennaro Gattuso's side scored just 28 goals in 20 Serie games this season - three more than Genoa, who are just three points above the relegation zone - averaging just 1.4 goals every league game, which is the fewest of the top eight sides in Serie A currently, highlighting Milan's need for a persistent goal threat. Despite the three forwards being at different stages of their careers, their latest moves could all be defining moments for them. Having spent just six months playing in one of Europe's top five leagues, the jury is still out on Piatek and his time at Milan will help many determine whether the 23-year-old is the new Robert Lewandowski or is a 'flash in the pan' or a striker with long-term staying power. For Morata, time appears to be running out for the 26-year-old to plant roots at one of Europe's elite, having already failed to establish himself at Real Madrid (twice), Juventus and Chelsea, although the Spaniard may finally have found a home at the Wanda Metropolitano. At 31, Higuain's move to Stamford Bridge, which can be made permanent for £31m at the end of the season, perhaps represents his last chance at a 'big club', and with the enormity of the challenge of playing in the Premier League awaiting him, the goal poacher will need to hit the ground running if he's to stay in west London. Out of the deals for Morata, Piatek and Higuain, the latter's relationship, and previous form, under Sarri suggests that could be the best deal of the three, although we won't know until the end of the season at least, as the trio hope to do what they've been drafted in to do - score goals.